I have such a love-hate relationship with how health and fitness has been going the past few years. I think it is ridiculously awesome that there are so many apps, gadgets and other scientific tools to help track, monitor and improve ourselves. Whether you are simply a busy exec trying to manage your stress levels to prevent a heart attack or aneurism :p, an athlete looking to improve performance, or just someone looking to look and feel optimal, there is officially an app for ALL of that! I think the only reason I hate this at all is simply because they can be darn pricey and can be hard to grasp for those less technically inclined. Healbe– This is a new and seemingly cool concept that was tweeted to me. It is still in the process of being fully launched so you can grab it before it really hits the market at $299.99. I am a little skeptical about this one as it’s FLOW technology seems a bit farfetched. You do need to know though that algorithms are not my forte so this just may be fully legit. I am not sure about paying that much without really knowing feedback but the concept is pretty cool. 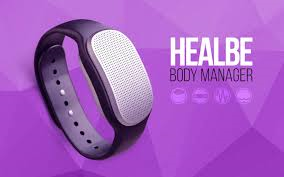 It says it measures calorie intake and output, hydration levels, stress, heart rate and sleep. Push – This is a device and app that I was introduced to. I have not yet had the privilege to fully experience it but I did get to mock trial it at their facility. This is a gadget geared towards lifting that measures reps, sets, tempo, power and so on. It seems to be one of the easier and definitely more accurate ways than many straight up apps you can download to your phone. You can currently pre-order it for $149 before it too hits the market. There are hundreds of apps and gizmos out there and it can be so overwhelming. This is yet another reason that I both love-hate this (current) yet futuristic state of the health and fitness industry. I say just do a bit of your own research, ask around and find the best fun tool to help you with your goals. Be sure it has a warranty and technical support. Also be sure that it offers you just what you need and not too much as that can needlessly raise the price as well as your confusion. Happy training ya’all and a woooooh 2 YOU! Read more Want to lose weight?